If you have ever spent time trying to find Los Angeles furnished apartments, you’ll know just how difficult it is to find the right one – or even find one at all. Sometimes you might find one on the outskirts of the city which is perfect – except that you need to be in the city center. Or you find one in the city center but it only has two bedrooms and you need three. Or it’s in the city center but the kitchen is minute and there’s nowhere to do your laundry. Or, or…..
Of course the success of the movie La La Land reminded us that Los Angeles is the city of dreams – and just occasionally those dreams come true. Like the dream of finding that perfect apartment exactly where you want it to be and with all of the facilities that you need. And this is where Key Housing Connections can help you. The clue is in the name: Connections. And we have them by the score. We have been finding Los Angeles furnished apartments for visitors to the city who need them for a week or two, or even for 12 months, for over 20 years now, and we have a long list of clients who wish to rent out their properties. Many of these clients’ properties are never advertised. You won’t find them by doing a search on Google or Yahoo. The reason they are never advertised is because our clients know that we are one of the biggest letting companies in California and we keep their properties occupied on an ongoing basis, so they don’t need to advertise. In turn, that means that you’ll only find them through us. 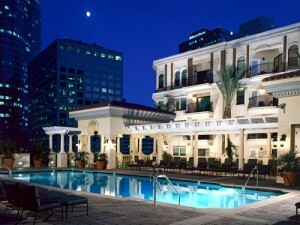 Finding your ideal Los Angeles furnished apartments through us is simple. You just tell us what you want, when you want it, where you want it to be, how long you want it for, your budget, and any other specific requirements, and then you can just sit back while we do all the legwork. Chances are, we have the perfect solution for you, but if we don’t have what you need on our books we do know exactly where to go searching and who to talk to. As we said, the clue is in the name – Connections. The film and entertainment industries in Los Angeles continue to draw in visitors from around the world and this coming season is predicted to be a very busy one. So don’t trust to luck or waste your valuable time hunting for that perfect furnished apartment – just call Key Housing Connections on 800-989-0410. This entry was posted in Furnished Apartments and tagged Furnished Apartments, Los Angeles corporate housing, Los Angeles Furnished Apartments on June 3, 2017 by Lee McDonald.